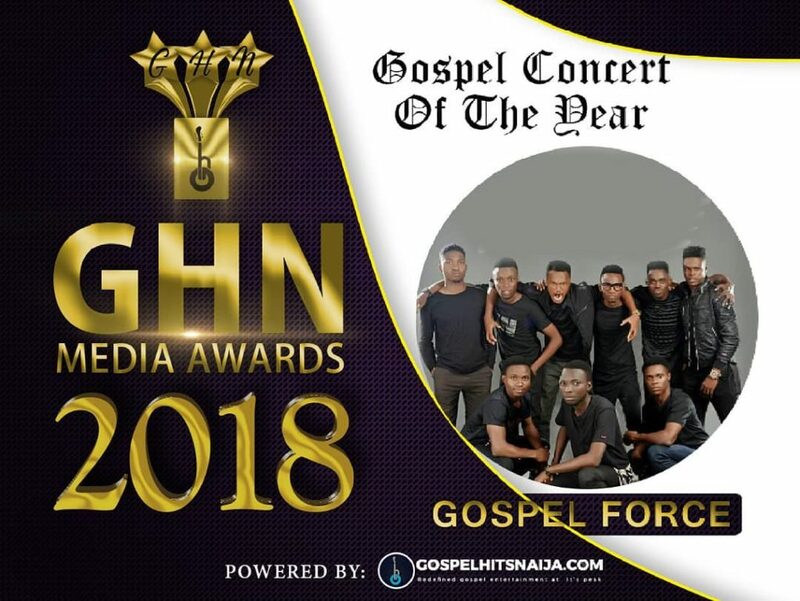 Recently, your favorite Christian Rock band, Gospel Force, was nominated for special awards in the GospelHitsNaija.com Media Awards. This award recognizes the positive input of Gospel acts and media in the industry, supported by Nigerians who see the need to honor outstanding profiles in the industry, to honor those who have outstandingly fostered the growth of Gospel entertainment in Nigeria. Gospel Force was nominated in Gospel Band Of The Year category alongside Outburst, Team 3D, The Pillars and Danusoul and was also nominated for having the Best Gospel Concert of The Year, which is On The Rock Concert. It was nominated alongside Fearless Victory Concert by Tim Godfrey, Praise Jesus by Minstrel Akan, All About Jesus by Naomi Classik and Enkay Live In Concert by Enkay in which On The Rock Concert emerged winner of the Best Gospel Concert of the Year category. The band expresses her warm gratitude to everyone who participated in the voting process for the awards and specially appreciates GospelHitsNaija.com for the recognition. More wins to everyone who was nominated.